Google Nexus has always impressed customers with the power of Android OS. The release of new Nexus has always made customers get best from the smart Android OS. This time, Nexus has become even smarter. According to some web reports, Google is about to make a huge impact on the market with latest Nexus 4 with JellyBean OS 4.2.2. According to reports, Google has already dispatched some, minor JellyBean smartphone updates. According to the news, the update can be seen very first with Nexus 4. Nexus 4 users having stock version of android OS will be able to update the latest JellyBean 4.2.2 OS. The latest operating system is not yet confirmed to be totally stable. However, it is thought to have better interface with more options that the stock version of JellyBean OS. According to the news, there are some improvements in the stock OS, but it is not entirely changed. According to the news, there are some major fixes, but there are some bugs reported. The main reason for launching this OS is to make people take advantage of new Android OS. It is not a bad news for people using previous version of Nexus. It is said that Android 4.2.2 is going to be available on other Nexus devices too, but you need to wait for some time to the new release on your Nexus. However, the programming is being done on that upgrade. With the power of latest Android JellyBean OS 4.2.2, will it overtake the market? Google Nexus has always impressed customers with fast speed and flexibility. Android OS has also enhanced to a very high level, and with this release of Nexus 4, it is thought to provide even better experience. Nexus 4 has made provided a good feedback from many countries. The new shipments are said to release soon. There are many things that you need to know about the latest release. It is not yet thought to provide you the best experience. However, people are eying on the Nexus 4. The reports of new Nexus 4 with JellyBean OS were cited from Brazil and Malaysia. The first 1000 were manufactured in Brazil by LG. This is the reason that the news came from Brazil. On the other hand, the news also came from Malaysia. So, it is an obvious question that why news came from Malaysia. The reason is that some local site performed a review of Nexus 4 earlier. 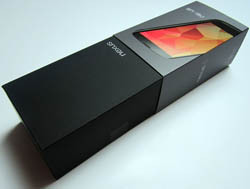 The handset used for the review was a special cut version of Nexus 4 with Android 4.2.2 JellyBean. Now, the question is that how people are going to respond for Nexus 4 and JellyBean 4.2.2 OS. This is a big question, and probably everyone wants to know how it is going to be. However, there is only one disappointment with the whole story. For checking out new JellyBean OS, you must get Nexus 4, and check it right out of the box.